The Wind River Indian Reservation, an area nearly as large as Yellowstone National Park, is home to the remaining Eastern Shoshone and Northern Arapahoe, Native American Tribes. 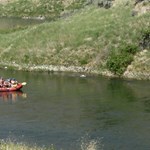 It is also home to a considerable portion of the Wind River before it reaches the Wedding of the Waters near Thermopolis and becomes known as the Bighorn. At its head, below the Boysen Dam, the Wind River Canyon appears narrow and formidable with rocky walls rising 2500 feet into the air. But don’t be intimidated. The Wind River Canyon is one of the West’s best-kept secrets, harboring excellent pocketwater fishing along its entire 15 mile run. Full of trophy browns and rainbows, it’s not unusual to net 18 to 26 inch trout while 30 inchers are infrequent but not unknown. 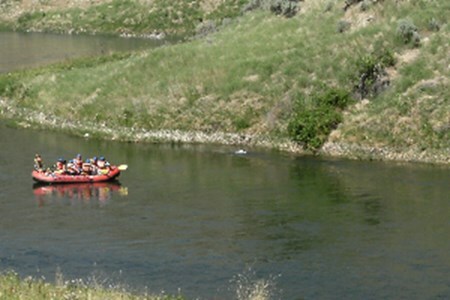 Float fishing is available but professional guides are highly recommended since the river descends the canyon in a series of Class II and Class III rapids and conditions vary widely from season to season. Wind River crosses into the reservation at the confluence of its East Fork, about 35 miles below its headwaters at Dubois, Wyoming. In continues in a southeasterly direction for nearly 75 miles where at Riverton, it abruptly turns north. 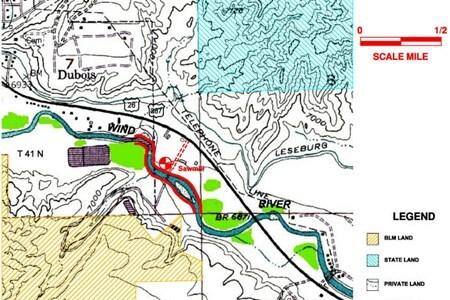 About 20 miles downstream from this point, the river’s flows are captured by the Boysen Reservoir located outside the reservation’s boundaries. The open, high plain of the Wind River Valley is lined on the north by the Owl Creek Mountains and to the south and east by the Wind River Range. Strong winds which funnel down the valley from the northwest, give the river its name. Wind River Lake, at the base of Togwotee Pass northwest of Dubois, is the source of the river. 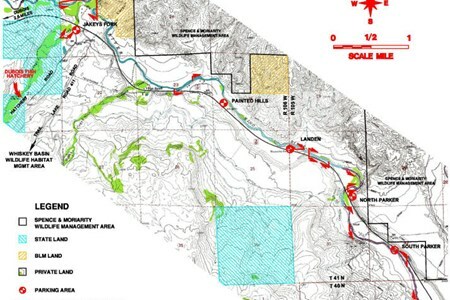 For its first 10 miles it is barely more than a trickle but it soon doubles in size as it merges with Sheridan Creek. 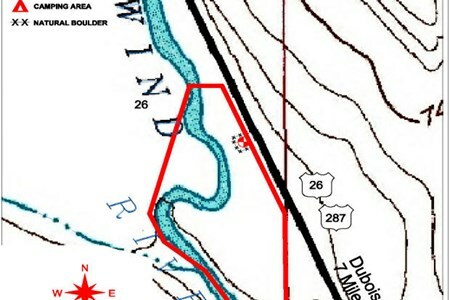 Visitors can find lodging in Dubois, the social and recreational center for the northern Wind River and the eastern Absarokas mountains. 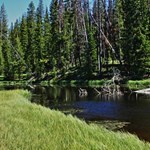 Flows on the upper river fluctuate during growing season due to irrigation releases from tributary lakes. 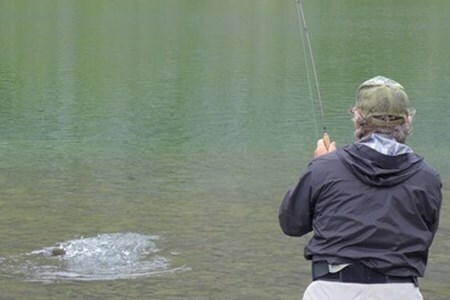 Experienced anglers say early spring, before the seasonal runoff, is the best time of year to fish, although April 1 to September 30 is the official fishing season. 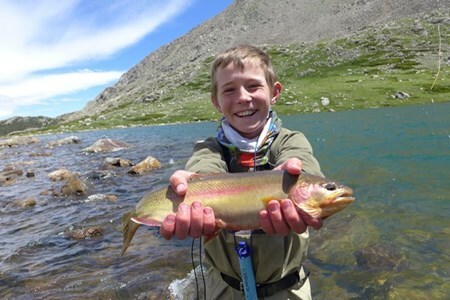 Fishing is good for rainbows, browns and cutthroats in the 12-16 inch range while it’s possible to hook a considerable number of larger fish. Fish in breath-taking beauty and catch fish all day long! This is a fisherman’s dream come true as well as a photographer’s heaven come-to-earth. 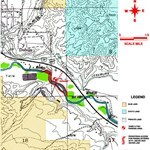 Enjoy a remote camp with abundant ... morewildlife-grizzlies, elk, deer, mountain lions to name a few! The food is out-of-this-world, you won’t eat better. Period. 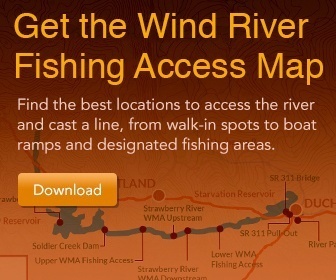 Catch great wild fish-Cutts, rainbow, browns, and brookies! 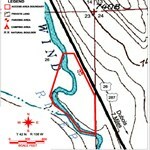 (Wind River, mountain lakes, Snake, etc.) Full day trips include world-famous coffee cake, streamside coffee, make-to-order lunch, and a day of great fishing. 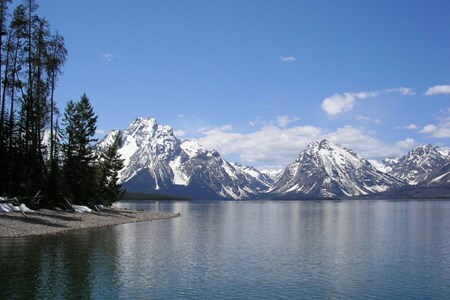 Probably the best money you’ll ever spend for a great day Wyoming of fishing! 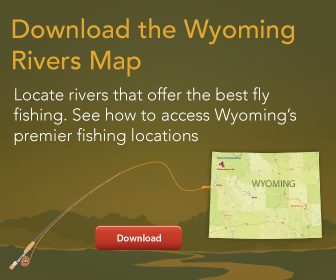 Trips do not include WY fishing license. 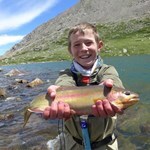 The Wind River Mountains have the largest Golden Trout in the world. Catching golden trout is the pinacle in wild trout fishing, and for good reason. Pound for pound they fight better ... morethan any other trout. 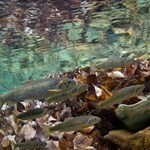 Secondly, they are the most beautiful trout imaginable. Pictures don’t do them justice. Lastly, they only reside in very remote high mountain pristine lakes. We’ll help you get this elusive fish checked off your bucket list. 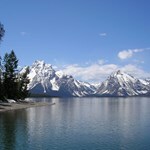 TFC is the exclusive guide service for Chamley Outfitting LLC, the finest outfitter in Wyoming. Chamley Outtfitting LLC., has the greatest stock which have been trained to navigate the very rough terrain of the Windy’s. Each animal has been riden by their staff for 2 years or more before a guest ever will. They ensure each animal is very well behaved. Trips are flexible and we now booking for 2016. 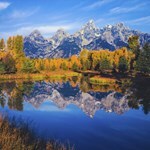 Trips are all inclusive except Wyoming license. We eat well, and this trip is a trip of a lifetime! All food/tents/gear/supplies etc., are packed in by horse. 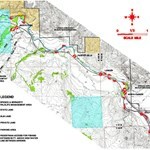 Base camp is a 4-5 hour ride located right between 2 beautiful lakes full of trout! A camp cook prepares all the food for a trip you will never forget! 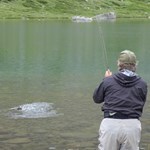 Wind River Fishing Report - Baetis Hatch Underway! 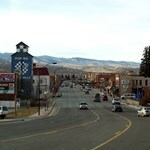 A incredible beautiful day today in Dubois Wyoming! The fishing is fantastic. A great Baetis hatch was underway throughout the morning and into the afternoon. The mountain whitefish ... moreare out-of-control! Browns are super hungry too! About Boysen State Park Boysen State Park offers 3 entrances: U.S. Highway 20 (east side), U.S. Highway 26 (south side) and Bass Lake Road (west side). Boysen State Park is one of ... morethe larger parks in the State Park System. It is a lake-orientated park at the south end of the Owl Creek Mountains at the mouth of Wind River Canyon now part of the Wind River Canyon Scenic Byway. It offers a variety of water type recreation. Day and camping facilities are available. It features interesting geological formations. Several state record fish have been caught out of the reservoir.